From 4K televisions to Internet streaming, watching movies at home has never been easier. But while watching films in your living room may be simple—it doesn’t necessarily provide the best viewing experience. If you’re wondering if you should catch the latest blockbuster at the theater or wait until its Blu-ray™ is released, here are a few reasons why going to the cinema is the better choice. If you’re catching the latest 3D action flick or musical, taking a trip to the cinemas is the best way to treat your eyes and ears to movie-making magic. No matter how impressive home entertainment systems are today, going to the theater will always provide the purest viewing experience. Specifically, you can see films in the picture and sound quality that they were designed for. For decades, cinemas have been recognized as temporary escapes from the pressures of modern life. Designed to focus only on the film being played, theaters are a perfect place to enjoy a story without having to worry about incessant emails, phone calls, visitors, street construction, and other potential distractions. As recently-released pictures—such as sequels and reboots—start to gain popularity, it’s not long before plot spoilers find their way online or in conversations. If you want to enjoy a film without having any surprises ruined for you, it’s best not to wait. Instead, buy tickets to one of the first showings at your favorite theater and see the film before anyone else can tell you about it. When you’re a fan of an actor, genre, or franchise, there’s nothing quite like watching a movie with other like-minded viewers. 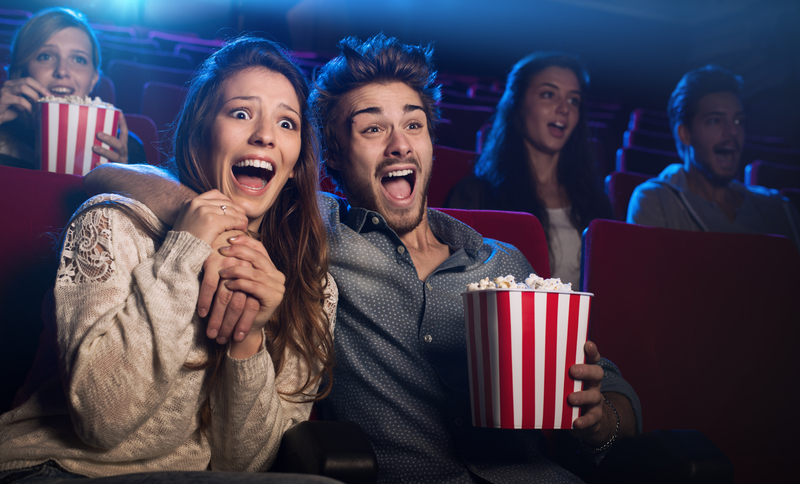 In the theater, you can expect to be surrounded by fans who will add to your entertainment by laughing, crying, or gasping during the film’s most notable moments. From popping the popcorn to adjusting the lighting, getting your home in movie-watching condition can take a lot of work. To save yourself the headache, you can go to the theater and enjoy the film from start to finish in an ideal environment. In addition to balancing light and sound for optimal viewing comfort, modern cinemas provide fresh snacks, plush seating, and ample legroom to make your visit as pleasant as possible. When you’re looking for a memorable evening out of the house, buy tickets to Clark Cinema 10 - A Luxury Seating Theatre in Enterprise and Andalusia, AL. Offering large screens, easy online ticket sales, comfortable seats, and affordable prices, this local movie theater is a fantastic spot for families, parties, couples, and everyday cinephiles to see stories unfold on the screen. To find out which titles are playing at either location, visit this cinema online or call (334) 347-3811 for showtimes.